Last year, Zeiss released its brand new line of lenses dedicated to APS-C mirrorless cameras. 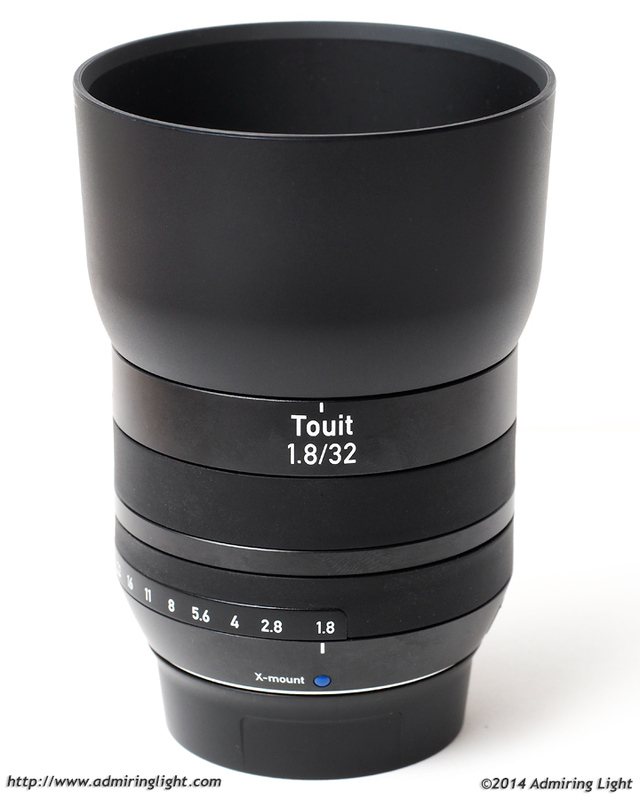 Here, I’ll be reviewing the ‘normal’ lens in that release, the Zeiss Touit 32mm f/1.8 Planar T*. While the version of the lens I reviewed was for Fujifilm X-Mount, the optics and internals should be identical between this and the Sony E-Mount version. Zeiss has a storied history in the photography industry, with a reputation for extremely high-end lenses with crisp contrast and vibrant color. In the Fuji mount, there’s stiff competition for the Touit 32mm f/1.8 in the form of Fuji’s own 35mm f/1.4. 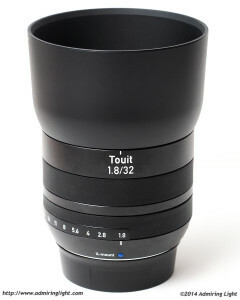 That lens is 2/3 stop faster, an excellent performer and a full $400 cheaper than the Touit 32mm’s $999 asking price. Let’s see if that extra money is worth it. If you’re not familiar with my reviews, I review from a real world shooting perspective. You won’t find lens charts or resolution numbers here. There are plenty of other sites that cover those. 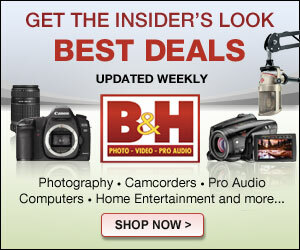 I review products on how they act for me as a photographic tool in real-world shooting. Thanks are due to LensRentals.com for providing the lens for this review. Please give them a visit any time you need a piece of gear for a special event or simply to try out that lens you’ve been anxious to use. The Zeiss 32mm f/1.8 Planar is a solidly constructed lens with an all-metal barrel and rubberized focus and aperture rings. There is absolutely zero flex anywhere in the lens body, and it feels like a solid block of metal. The lens doesn’t use an internal focus mechanism, so there is some external movement of lens elements during focusing. However, Zeiss has positioned the front focus group inside a recess in the lens, so while the elements move back and forth within this recess, the overall size of the lens stays constant at all times. Included with the 32mm f/1.8 is a plastic lens hood that provides good coverage and snaps on and off easily. Unlike the hood for the Touit 12mm f/2.8, the hood for the 32mm doesn’t radically alter the size of the lens when reversed, keeping the overall package relatively small. The rubberized focus ring is still a point of contention with me. It provides good grip and rotates smoothly, but I don’t enjoy the feel of the rubber. I much prefer the ribbed metal feel of Zeiss’ other lenses, such as the FE 35mm f/2.8 for Sony E-Mount. The rubber just makes it difficult to feel the ring moving. This lack of tactile feedback is a bit odd, and while the lens focuses just fine in manual focus mode, I think the rubber focus ring needs to go. The aperture ring on the Touit 32mm f/1.8 is also rubberized, but the click-stops for aperture settings provide that tactile feedback that’s lacking on the focus ring. The detents for the aperture ring are a little too small for my liking, however, making it rather easy to inadvertently change the aperture setting. Size-wise, the 32mm f/1.8 is nearly identical to the Fuji 35mm f/1.4. The lens handles well on the camera and feels well-balanced in the field. One weak area with the Touit 32mm f/1.8 is in focus speed. It’s a relatively pokey lens in the autofocus department. While it’s not appreciably slower than the Fuji 35mm f/1.4 when using CDAF focusing on something like the X-E1, it lacks the proper firmware to take advantage of Fuji’s phase-detection capability on the X-E2 and X-T1. As a result, that slow speed is present on all bodies as of this time. Zeiss has hinted that a firmware update to enable PDAF focusing is coming soon, but so far it has not materialized. I did find focus accuracy to be fine, though the lens tended to hunt a bit in lower light. Overall, it’s not a lens that you’ll use when you need quick response, but it does just fine if you’re photographic static subjects. Thanks for the review! 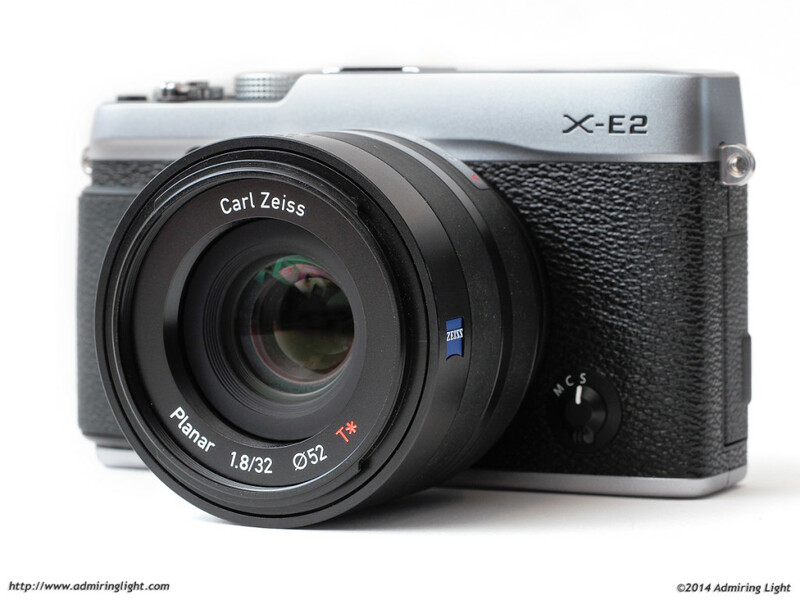 I got mine on order, the Zeiss look is exactly what I’m looking for. Bokeh could be better hopefully but I’m really looking to use this wide open so corners not a biggy for me. I loved the churyard photo very nice color. I’m really concerned on getting phase detect firmware that’s about it. I got the Zeiss for 720 new by the way. The aperture ring is smooth or clicky? Ther is now a FW Update for the Fuji System, wich is improving AF Speed and adds ‘Phase Detection AF. Pingback: ???? Touit 1.8/32??????????????????? | ????????????? Pingback: Carl Zeiss Touit 1.8/32 ?????????????????? | ???????????? ?